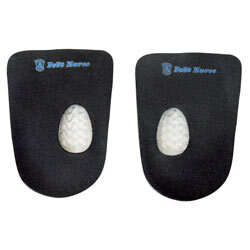 Reduce the pressure and absorb the shake of heel pads. 1. Orthotics insoles Disperse the pressure of foot. 2. Orthotics insoles Reduce the pressure of heel and make your feet healthy. 3. Prevent the injury of heel - no pressure while walking. 4. Prevent the thenar angles inside by design of wave gel. 5. Pressure reduced heel pads, gel insoles, orthotics insoles, healthy insoles. 1. Size: JG 239 for kid, JG 240 for male. 2. Color: black. 3. Contents: TPE100%.